China’s new generation of international achievers gives the global BPO industry a new perspective. 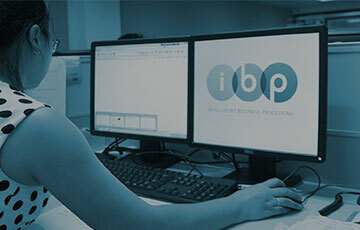 iBP chose China as its offshore base due to an outstanding growth in talent, and the adoption of high level communication and data technology required to implement globally competitive BPO systems. “We have engaged an elite collection of China’s new generation of IT skillsets, trained and motivated to provide pro-active, time sensitive and productivity driven business process and data management solutions.” says Wim Harrington, General Manager, China, iBP. Over 7 million students emerge from Chinese Universities every summer. A growing percentage hit the ground running in tier 1 and 2 cities as the competition for local jobs in the business sectors is fierce. The competition for those roles that may be seen as even partially international in nature, is red hot. At the same time, iBP General Manager in China, Wim Harrington has noted a clear shift in the quality of new graduates in recent years. English has been a required second language taught in China’s high schools since 1988. However, China’s generation Y are today more aware of global issues and understand exactly what will benefit their upward progression through the local and global the economic strata. English is one step on the ladder and another, being data savvy, is certainly one this internet generation possesses in abundance. So the talent pool seems to be there. China has 350 million internet users who choose to read in English. 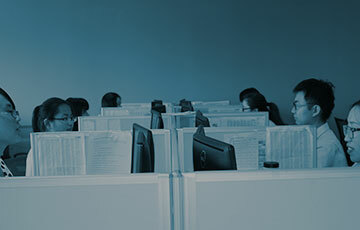 China’s BPO industry has benefited from the government’s massive investment in IT infrastructure. Advanced broadband IT highways figure alongside China’s nationwide moves that has seen billions spent on infrastructure. The IT network is very much on the same map as the vast highways, railways, airports and all other physical infrastructure developments. iBP is based in Shenzhen, one of the key cities in China identified and approved by the Government as China’s service outsourcing cities. Both local city and central Government offer support for the service outsourcing industry, which translates into cost efficiencies for global customers worldwide. Shenzhen is also one of the progressive Chinese cities to have embraced the BPO industry. In 2013, Shenzhen was home to 180 international business process outsourcing companies, 30 of which had a workforce of over 1,000 employees. Developing at a rate of more than 15% annually, China’s BPO industry already serves a growing international client base. 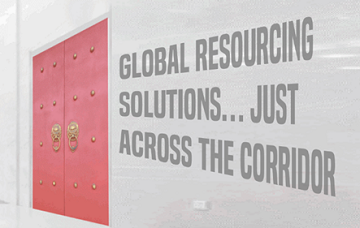 Companies providing efficient solutions for businesses outsourcing non-core functions are poised for further growth.